Why support WRI in your will? Many of those who have campaigned against war for many years want the impact of their work to continue into the future. For others, remembering War Resisters' International in their will is a way of showing support for a cause they believe in, but have had little time to tangibly support. 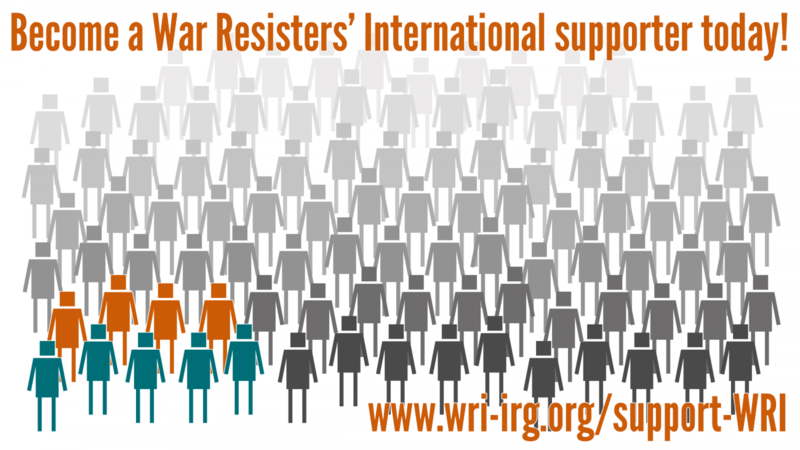 If you would like to talk to someone about leaving a legacy to War Resisters' International, please call Hannah on +44-20-7278 4040, or at hannah@wri-irg.org. Thank you.